It would be foolhardy of me to believe that I could write about Roy E. Disney’s life better than a mountain of scholars already available. What I can write about is the way this man, whom I had always hoped to meet but never had the opportunity to, affected my life personally. So please pardon me if I ramble for a few moments. However, if you want to a glimpse into the way a life should be lived, please peruse this article from D23 on Roy E. Disney’s life. Growing up as a child engrossed in the Disney lifestyle, I did not have Uncle Walt speaking to me weekly on my television screen, I was a few years behind that experience I’m afraid. My Wonderful World of Disney did not, in fact, even include a Disney introduction. Instead we were introduced to many a Disney marvel by Michael Eisner. It wouldn’t be until much later in my late teenage/young adult years that I would come to recognize Roy E. Disney and his accomplishments. So often we speak to the nature of how few living links we have left to the original, Walt Disney. Roy was one of these enduring living links, but like many who have walked the hallowed halls of Disney, he was a living legend. While his stories of Walt are, undoubtedly, beyond compare, I don’t know what I would have given to be able to sit and listen to Roy’s personal stories. Stories of sailing, stories of the True Life Adventures, Fantasia 2000, and all the various ways he, through his dedication and hard work, kept the true heart of the Disney name in the public eye. My respect for Roy will never diminish, nor shall my image of him tarnish. Living with the name Disney must, assuredly, be a blessing and a curse. 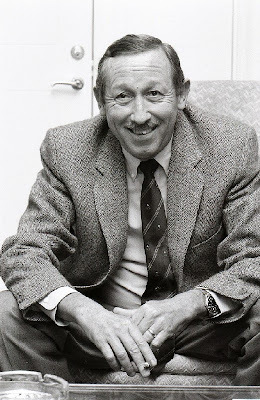 Roy E. Disney was not just Roy O. Disney’s son and Walt Disney’s nephew, he was his own man. He has forever left his mark on the world. So, I ask humbly, that you take a few moments to pause, quietly, and recount the ways that your life has been touched by Roy. All of us at the Main Street Gazette send our warmest thoughts and deepest sympathies to the entire Disney family.